On January 1, 1892, a 15-year-old Irish girl named Annie Moore was granted entry to the United States. She and her two brothers were the first to be processed through Ellis Island. Over the following 62 years, millions would follow Annie Moore through the Ellis Island port of entry. The island, in Upper New York Bay, would become a major gateway as the busiest immigrant in section station in the United States. While most connect Ellis Island with immigrants from other parts of the world – particularly southern and eastern Europeans – the port was, in fact, an entry point for many British immigrants as well. In fact, throughout the 1890s, nearly 329,000 emigrants left the British Isles and set sail for the United States. Those who were first and second class passengers were processed aboard ship and weren’t required to pass through Ellis Island – thus, their entry is not recorded there. Many others, however, were traveling in steerage, and they joined the masses flowing through the Island facility. Before Ellis Island opened, many millions of immigrants had flowed into the country through New York’s harbour. Initially, immigrants were processed by state officials; however, the Federal Government took over immigration control in 1890 and put $75,000 into constructing an official processing facility. The first facility was a huge Georgia pine structure with several outbuildings and numerous amenities. Three ships full of immigrants docked the day it opened and 700 immigrants were processed. The first year at Ellis Island saw nearly 450,000 immigrants pass through its halls on their way to a new life in America. The first facility was short-lived, however, and in 1897 the entire structure burned to the ground. No lives were lost in the blaze; however most immigration records up to that date were lost. Plans were put in place for a new, fireproof immigration station, and while construction was underway, passengers were processed at the nearby Barge Office. The newly constructed facility was enormous with the capacity to process as many as 5000 immigrants per day. The red brick building could house a huge number of immigrants at a time, and the dining facility was so large that it could seat 1000 at once. Thousands passed through daily. Immigrants were given “six second physicals” during which they were checked quickly for any physical ailments, questioned, and then sent on their way. That was only a portion of the process, however, and most immigrants spent up to five hours under inspection. The majority of those processed were steerage passengers. First and second class passengers weren’t required to pass through the various inspection points at Ellis Island because the government assumed that if they had the money to buy a first or second class ticket, they would be able to support themselves sufficiently upon entry. Between 1900 and 1929, over 1.2 million Britons migrated to the United States, many of whom were processed through Ellis Island before they were allowed entry. By the time Ellis Island closed in 1954, approximately 12 million immigrants had been processed there by the U.S. Bureau of Immigration. In May of 1607, three British ships landed on the shores of Virginia. On board the Discovery, the Godspeed and the Susan Constant were men, boys and crew members who hoped to better their fortunes in the New World. The ships were loaded with all the supplies they thought might be needed in establishing a colony. 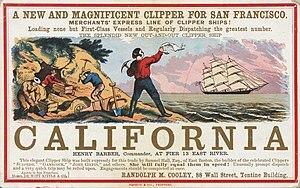 The settlers had high hopes as they set out, spurred on by visions of the “mountains of gold” that the Spanish had found. Little did they know what hardships they were set to face. 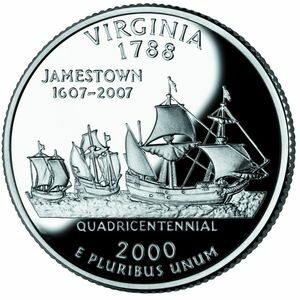 While other settlements across America had been largely spurred by other (primarily religious) factors, the colony of Jamestown was established entirely for economic purposes. The economic climate of 16th and 17th century England was undergoing great changes. Many farmers had lost their rented lands and had moved to the cities looking for work. Jobs were few and far between, however, and many of these migrants were forced to beg or steal to survive. A number of enterprising folks began looking for a solution to the problem, and migration to the New World seemed like a viable and practical option. Establishing new colonies abroad was risky and expensive; however, in many ways it seemed the risks were outweighed by the political and economic benefits. Early in the 17th century, a group of merchants approached King James as the joint-stock Virginia Company of London. In 1606, they were granted the right to establish colonies in Virginia. Rather than the crown footing the bill for the venture, wealthy men put up the money to buy the ships and supplies needed for the voyage and initial settlement. A large number of Englishmen became stockholders in the venture, and held high hopes that they would see great returns on their investments in the form of gold and other goods like tar, pitch, oil, and citrus fruits. The first 104 settlers arrived in Virginia in 1607. A third of these settlers were “gentlemen” who had been recruited by the financers of the expedition. Many were military men who had fought the Spanish or in the Irish wars. Aside from these came a number of skilled craftsmen, bricklayers and carpenters, a blacksmith, a mason, a minister, a barber, and two surgeons, along with other unskilled workers and common seamen. Upon arrival, Captain Christopher Newport, commander of the largest ship, opened the sealed orders from the Virginia Company and declared the names of those who had been appointed to run the colony. Edward Maria Wingfield was named president of the colony, and the settlers began the arduous task of establishing themselves in the new land. Others soon arrived; however, life in the colony was more difficult than expected. Soon the colonists were starving, and over eighty percent of the immigrants died within a year. The Virginia Company was still hoping for a return on their investment, so they put out propaganda to entice more Britons to join the new colony. Another 3,750 were sent off to the supposed land “of milk and honey” in the hope of finding profit. Unfortunately, the Virginia Company saw very little profit for many years. The settlers struggled to find a profitable product that could be exported. Their search for gold was fruitless, lumber was too expensive to ship, and other small ventures saw little success. The settlers established a fur trade with the Indians; however, even this was not financially lucrative until many years later. It wasn’t until John Rolfe began to experiment with tobacco that Virginia finally began to turn a profit. Once they had learned to grow and cure the leaves, the colonists gave up all other products to meet the rising demand for tobacco in England. The economy in Virginia was revived as this great cash crop finally brought financial success. Though he was a rather colorful fellow with questionable views on society, Edward Gibbon Wakefield is remembered today as a colonial reformer and advocate of systematic colonization. His writings and actions helped to reform British views on colonial development. He was one of the founders of New Zealand and much of the settlement was based upon his ideas for a model societal structure. Wakefield was a London land agent’s son, born on March 20, 1796, and educated at Westminster. In 1826, he met Ellen Turner, the young daughter of a wealthy silk merchant. Wakefield spirited her away to Scotland where he pressed her into a quick marriage ceremony. When they were discovered, the wedding was annulled by Parliament and Wakefield was sentenced to three years in prison for kidnapping. During his time in prison, Wakefield turned his thoughts toward corrective punishment and colonial development. From prison, he began to publish papers stating his position on these topics. He strongly promoted the colonization of Australasia and provided detailed plans for how he felt it should be accomplished. His plan involved the New Zealand Company buying land at a pittance from the indigenous tribes, and then selling it at a high price to “gentleman settlers” and investors. Revenue earned through these land sales would finance the immigration of free settlers; however, since these newcomers would be unable to purchase land of their own, they would make up a laboring class to work for the landowners. Many members of the New Zealand Company embraced Wakefield’s ideas and put them to use in the colonization of South Australia. While these supporters envisioned the creation of a “perfect English society,” Wakefield viewed their work there as a failure and instead turned his focus toward New Zealand. In 1837, Wakefield chaired the first meeting of the New Zealand Association, where he was joined by a number of wealthy supporters. A bill was drafted detailing their intentions; however, it was strongly opposed by Colonial Office officials and the Church Missionary Society. The opposition was horrified by claims made in Wakefield’s pamphlets, where he declared his intentions to “civilize a barbarous people” who could “scarcely cultivate the earth.” They took issue with the unlimited power that would be wielded by the colony’s founders, and felt that the indigenous peoples of the region would simply be exterminated. By the end of the year, however, Wakefield’s association was gathering favour throughout the government, and in December they were offered a Royal Charter which gave them responsibility over the administration of the colony of New Zealand. They soon merged with the New Zealand Company and continued under that name. Before the government could impose further control, the Company set out to buy up as much land as possible. By the end of 1839 they had purchased land in Wellington and as far north as Patea, and intended to buy as much as 20 million acres in Nelson, Wellington, Wanganui, and Taranaki. Their ambitions were cut short though, when the government intervened with the Treaty of Waitangi. This treaty allowed only the government to make any further land purchases. When the government began to question the land titles of the Company, Wakefield campaigned for self-government, though this was easily opposed by the governor, Sir George Grey. In 1853, Wakefield emigrated to Wellington and became involved in the political institution in New Zealand. Just one year later though, his health broke and he was forced to live in retirement until his death in 1862. While Wakefield’s views were often impracticable due to his lack of first-hand knowledge, he was instrumental in the colonization and settlement of New Zealand. Due to his strong beliefs in modeling the settlements on the structures of British society, many New Zealand towns were established this way. While population growth wasn’t rapid by any means, many were attracted to life in New Zealand and colonies were quickly established. When the New Zealand Company arrived in 1839, there were a mere 2,000 immigrants in the country; by 1852 that number had climbed to 28,000. 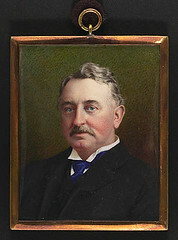 Cecil Rhodes was anxious to occupy the territories of Mashonaland and Matabeleland in Southern Rhodesia before the Germans, Portuguese or Boers could get to it. To accomplish this, Rhodes and his British South Africa Company raised the Pioneer Column. Rhodes approached the Matabele King Lobengula and persuaded him to sign a treaty in 1888. This treaty gave Rhodes full rights to mining and administration (though not particularly to settlement), throughout the area of Mashonland. Using this Rudd Concession (as the treaty was dubbed), Rhodes approached the British government for a charter which would allow him to occupy the territory. The British South Africa Company was granted the right to form an armed body of men to protect the Pioneer Column as they travelled across Africa. Rhodes’s military advisers were wary of how Lobengula would react when he realized that Rhodes intended not only to mine, but to occupy the land that he had granted. The military advisers were almost certain that war would break out, and estimated that it would take 2,500 men and approximately one million pounds to accomplish their goals. A young adventurer by the name of Frank Johnson wasn’t nearly so cautious, however. He proposed to deliver the territory within nine months, for no more than £87,500, and with a mere 250 men. Johnson recruited Frederick Selous, a hunter with an excellent knowledge of the region, to act as the Column’s guide. He then began recruiting men for the expedition by offering each volunteer 15 mining claims and 3000 acres of land in the newly claimed territories. They received thousands of eager applicants; however, Rhodes cleverly selected sons from rich families. He predicted that if the Column was indeed attacked and in danger, the wealthy families would be more successful in enlisting help from the British government. The Pioneer Column was placed under the command of Irishman Lieutenant Colonel Edward Pennefather, an officer of the 6th Inniskilling Dragoons. The initial Column was made up of 180 colonists, 200 volunteers and 62 wagons. Another group soon attached themselves to the Column, adding 110 men, 16 wagons, 130 horses, and 250 cattle. They set out from Macloutsie on June 28, 1890, and arrived on September 12 at a flat, marshy meadow protected by steep rocky hills. The British flag was hoisted over the plain the following day, and settlement began. Three towns were founded nearby: Fort Victoria (now named Masvingo), Fort Charter, and Fort Salisbury. The Pioneer Corps was disbanded and each of the members was given the promised lands on which they could begin farming. In one fell swoop, the Pioneer Column drastically changed the destiny of this previously neglected territory. What was once an undeveloped backwater became a productive region that has achieved great things since its founding.